Three (3) different original Lost in Space Fanzines from the early 1980's. The name of the Fanzines is SAME TIME, SAME CHANNEL. 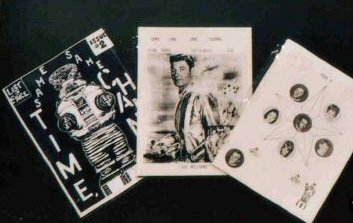 These Fanzines are in excellent condition and contain many great articles, stories, photos and artwork from the great Irwin Allen television series Lost in Space. The issues shown are issues #2, #3, and #4. These make an excellent addition to any Lost in Space collection.